This SW spot boasts one of the fastest and most diverse rotating tap lists in town, so you’ll always have something new and interesting to try. 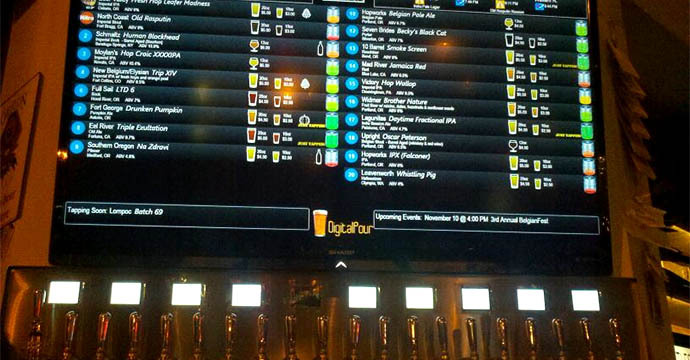 The electronic menu keeps everything easy and organized - despite the quick turnover - by showing keg levels, pour sizes, ABV and brewery information. The high-tech beer joint has embraced public transportation, the best part of the downtown location, by including an electronic display of bus and train times, so you can get around responsibly after enjoying a few 20-oz. pours (213 SW Broadway; 503-295-1004).